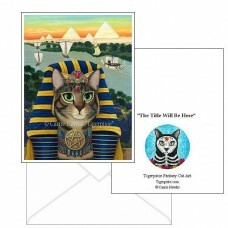 Temple of Bastet - Bookmark - I have based this painting on the actual Temple of Bastet at Bub..
Egyptian Pharaoh Cat - Note Card - AKA The "King of Pentacles" for the 78 Tarot Nautical Deck. 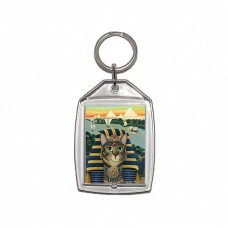 This ..
Egyptian Pharaoh Cat - Keychain - AKA The "King of Pentacles" for the 78 Tarot Nautical Deck. This i..
Egyptian Pharaoh Cat - Magnet - AKA The "King of Pentacles" for the 78 Tarot Nautical Deck. This is ..
Egyptian Pharaoh Cat - Bookmark - AKA The "King of Pentacles" for the 78 Tarot Nautical Deck. 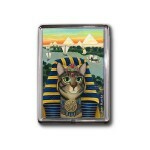 This is a card representing of power, success, and material satisfaction. 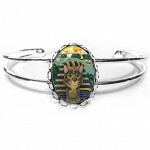 I felt an Egyptian Pharaoh embodies all of those characteristics. So I decided to paint an Egyptian theme with boats and the Nile river being my nautical aspects. 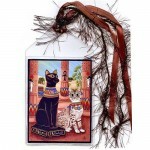 Temple of Bastet - Bookmark - I have based this painting on the actual Temple of Bastet at Bubastis. It's not exactly as the description but clo..
Egyptian Pharaoh Cat - Note Card - AKA The "King of Pentacles" for the 78 Tarot Nautical Deck. 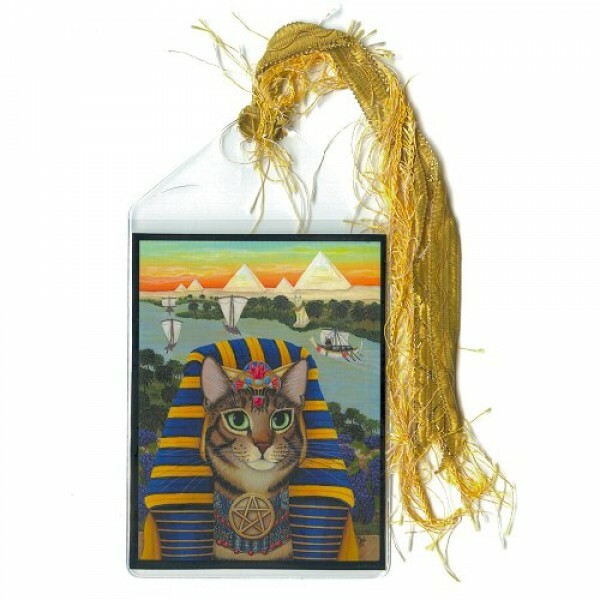 This is a card representing of power, success, and mate..
Egyptian Pharaoh Cat - Keychain - AKA The "King of Pentacles" for the 78 Tarot Nautical Deck. 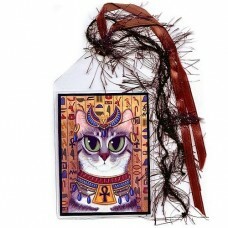 This is a card representing of power, success, and mater..
Egyptian Pharaoh Cat - Magnet - AKA The "King of Pentacles" for the 78 Tarot Nautical Deck. 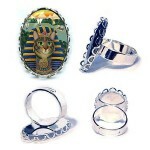 This is a card representing of power, success, and materia..
Egyptian Pharaoh Cat - Ring - AKA The "King of Pentacles" for the 78 Tarot Nautical Deck. This is a card representing of power, success, and material ..
Egyptian Pharaoh Cat - Cuffed Bracelet - AKA The "King of Pentacles" for the 78 Tarot Nautical Deck. 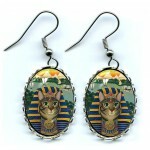 This is a card representing of power, success, an..
Egyptian Pharaoh Cat - Earrings - AKA The "King of Pentacles" for the 78 Tarot Nautical Deck. 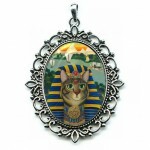 This is a card representing of power, success, and mater..
Egyptian Pharaoh Cat - Cameo Necklace - AKA The "King of Pentacles" for the 78 Tarot Nautical Deck. 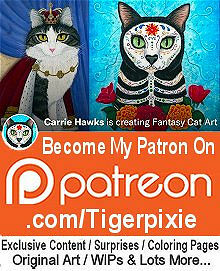 This is a card representing of power, success, and..
Egyptian Pharaoh Cat - Prints - AKA The "King of Pentacles" for the 78 Tarot Nautical Deck. 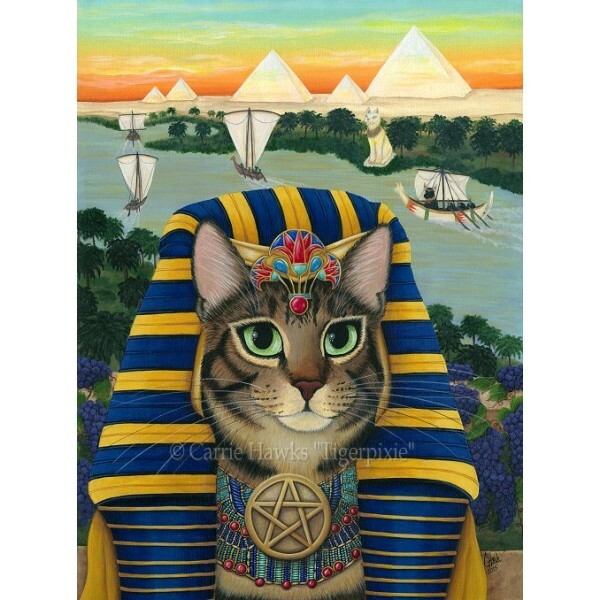 This is a card representing of power, success, and materia..
Egyptian Pharaoh Cat - Limited Edition Canvas Prints - AKA The "King of Pentacles" for the 78 Tarot Nautical Deck. 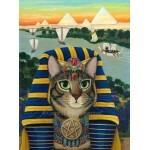 This is a card representing of powe..
Egyptian Pharaoh Cat - Original Painting - Size; 12" x 16" Medium; Acrylic on Canvas Sheet. 2015 - AKA The "King of Pentacles" for the 78 Tarot ..